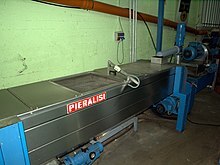 The remaining paste (pomace) still contains a small quantity (about 5–10%) of oil that cannot be extracted by further pressing, but only with chemical solvents. This is done in specialised chemical plants, not in the oil mills. 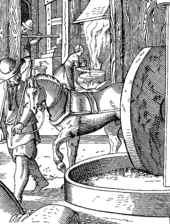 The resulting oil is not "virgin" but "pomace oil". 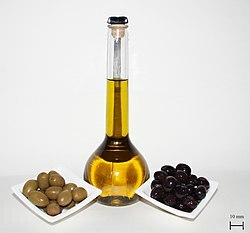 Handling of olive waste is an environmental challenge because the wastewater, which amounts to more than 30 million cubic meters annually in the Mediterranean region, is not biodegradable and cannot be processed through conventional water treatment systems.Cold pressed or Cold extraction means "that the oil was not heated over a certain temperature (usually 27 °C (80 °F)) during processing, thus retaining more nutrients and undergoing less degradation".